Every parent knows that education is important for our little ones once they get to the right age. But play is just as important and it's not only for the very young - let's not forget about it once they start school. Play is vital at any age for developing creativity, problem-solving skills, and self-confidence. It helps children develop socially - partly because they're often interacting with others when they play, but even solo play helps them learn ways to express themselves clearly. It helps them emotionally develop as they learn about relationships and consequences; and of course, physically develop whilst they're running around getting stronger, and keeping fit and healthy without even trying. And the great news is that by taking part in playing and games with your kids you'll help them increase their learning and get even more out of it. When you join in you can add perspectives and ideas that they wouldn't have thought of on their own. That doesn't mean you're taking over - they will use their own creativity to build on your ideas and grow them into something else entirely. And sometimes even just letting them know you're watching or listening can change the way they play for the better. Have fun! 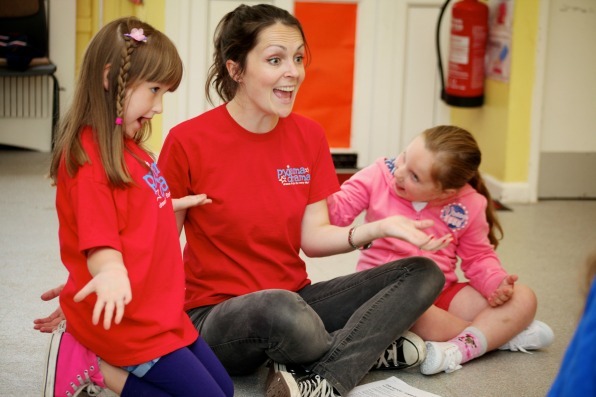 And if you need some inspiration while looking for ways to play with your child, why not take our free 5 part mini-course, 5 easy ways to use drama in your preschool classroom? After all, drama is just another word for play!